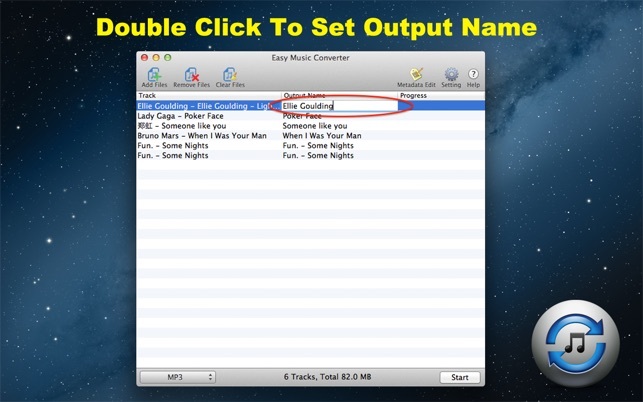 The Easiest and Fastest Batch music converter!!! 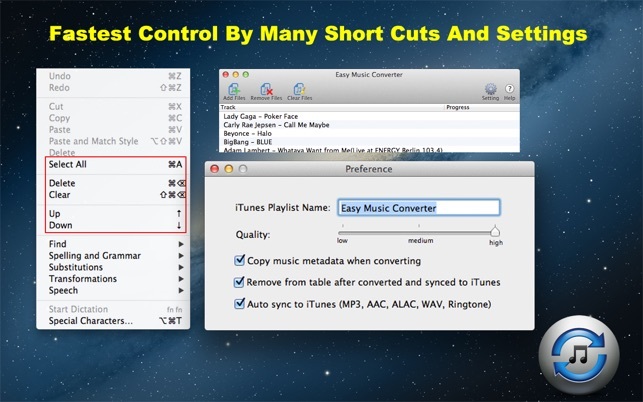 ● convert musics so easy with only dragging and clicking start. I've converted WMA files to AAC and FLAC files to ALAC flawlessly. 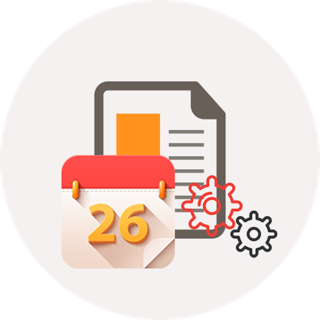 It's quick and easy to drag and drop the files into the app window. 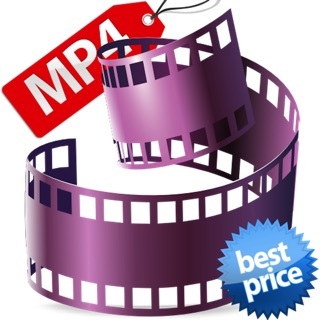 Pick your conversion format or click Settings to customize the conversion, hit Start and relax. 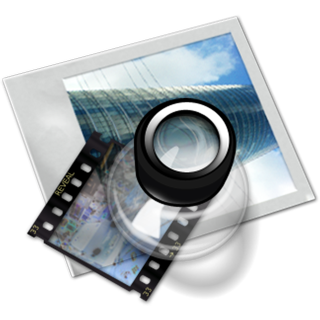 You can have the converted files automatically imported into iTunes or do it yourself. It is really easy to use. 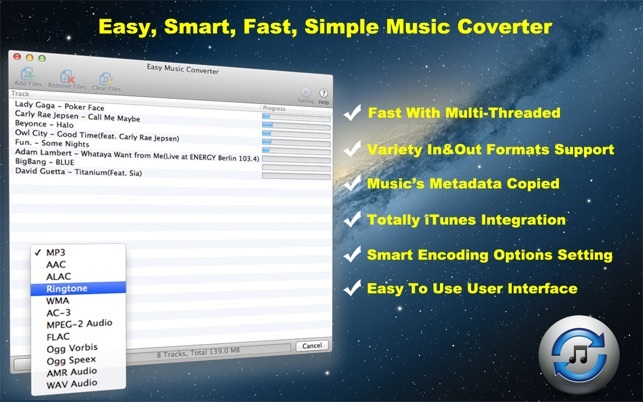 Hello easy music converter staff. I love the software although I notice 1 thing. When I go to add another set of files after the first conversion is done, or if I I just want to add another set of files, I notice that vo, the screen reader that ships with 10.4 and up just says up and down when I hit up and down arrow. I have to use the vo keys and up and down arrow to get any ware in the program. Can this bee looked at and hopefully fixed? That's the only thing that i can see that's broken. By the way I tried to use the support website indicated and got "No file specified." Hence why I'm leaving this here. 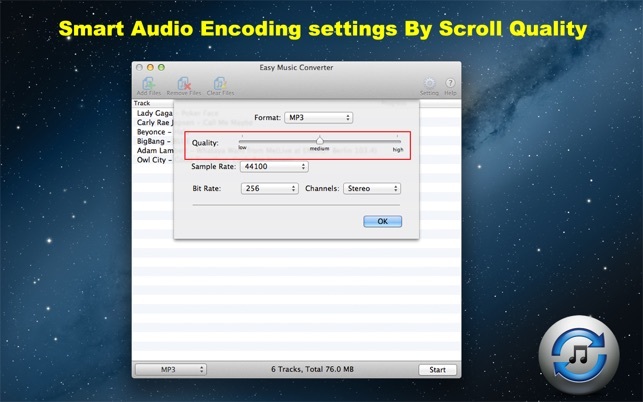 This is a easy and fast way to convert some audio files I need for work. 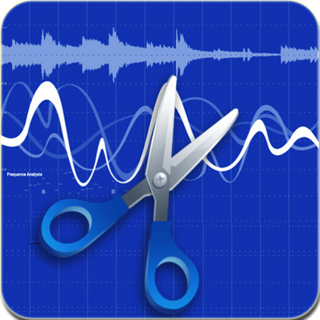 I just add the audio file i want to convert and in a few minutes I have the finished product. Very useful. 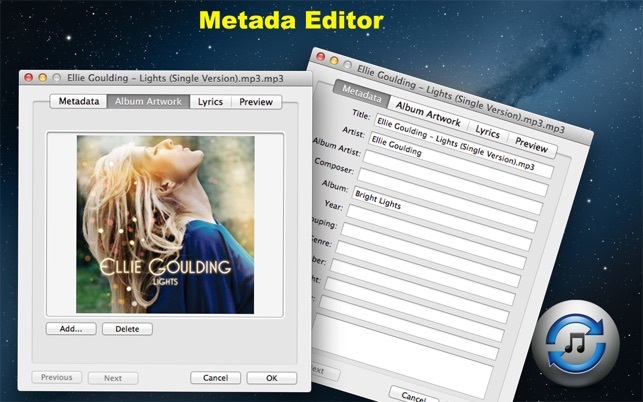 Copyright © 2012-2013 hummersoftware. All rights reserved.